Morocco has plans to open the world’s largest photography museum in the Imperial City of Marrakech in 2016. This is a living testament to the importance as image and icon that Morocco has held for centuries as the leading artistic and cultural travel destination in North Africa. The MMP (Marrakech Museum for Photography and Visual Arts) location will be near the Menara Gardens, located on the edge of the city. The MMP will house a small, permanent collection with a keen focus on rotating exhibitions and works by contemporary artists. The MMP will serve as a leading cultural epicenter and attract visitors from around the world to Marrakech. The Marrakech Museum for Photography and Visual Arts will attract the 9 Million + who readily flock to Marrakech for sun holidays and a unique cultural experience in this Imperial city. The Museum has plans to house lens-based and traditional fine art. The museum’s goal is to house the best of Moroccan and and North African art objects as a testament to mortality, vulnerability, mutability of the human condition. The architect who is designing the Marrakech Museum for Photography and Visual Art 80,000 square-foot (6,000 square meters) exhibition space is British architect Sir David Chipperfield. The space has plans to feature galleries, a theatre, cafe, bookshop, public spaces and educational facilities. 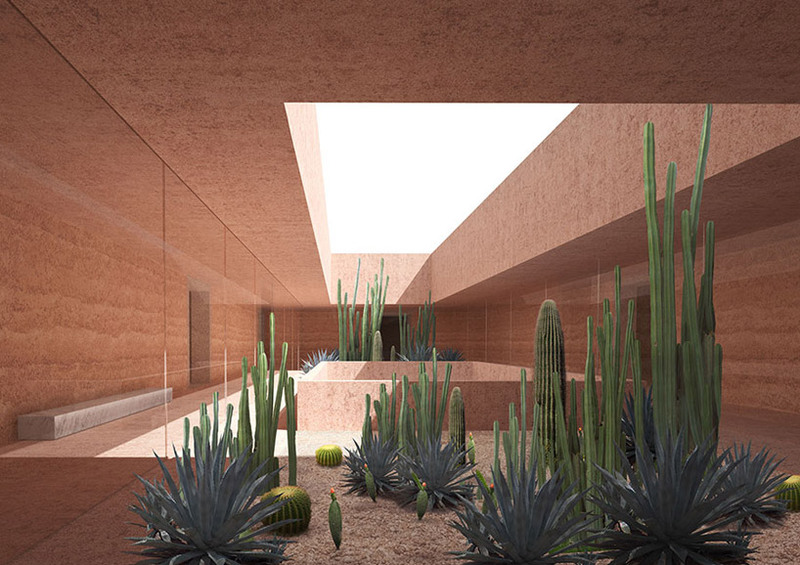 The atrium on the third floor will house desert plants within a garden. The MMP’s plans to include a rich program of exhibitions, education and cultural exchange will make it the first example of this kind of artistic institution on the African continent. David Knaus is the Marrakech Museum for Photography and Visual Arts Managing Director. The museum already has a temporary location in the 16th-century El Badi Palace and has been well received by locals along with tourists and Morocco travelers.